Click the Menu icon, click Settings, and then click Users. 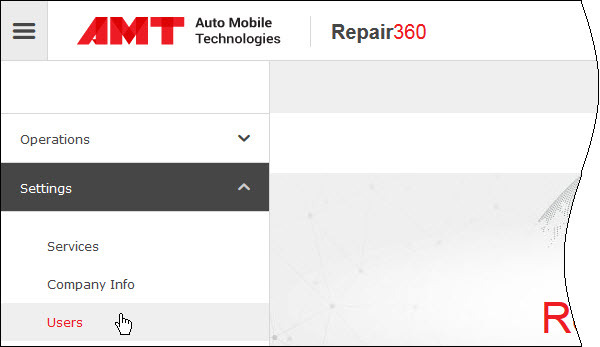 Note The Users page is not available in the Repair360 Free because there is only one default user and there is no way to add more users. On the Users page, click the Add New User button. 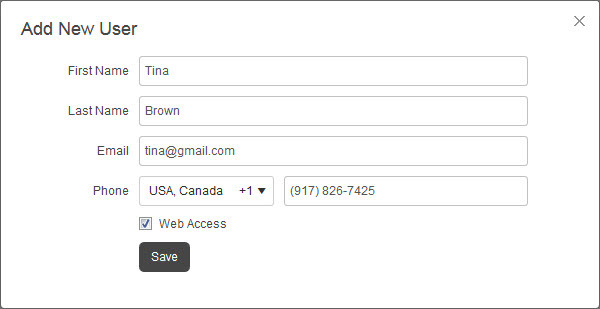 In the Add New User dialog box, enter the appropriate settings, and then click Save. Web Access defines whether user can log in to the Back Office application. If you select the Web Access check box, an invitation with the Back Office link will be automatically sent to user’s email address.